Ciara from Bray and Stephen Treacy from Newtown Mount Kennedy first met when they worked together as kids in a local shop. 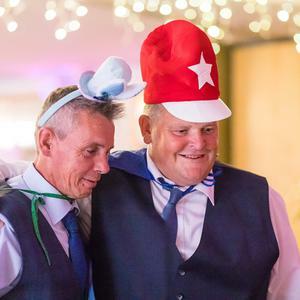 Friends first, things eventually turned romantic years later, when sparks flew between them at Latrex disco in Greystones, nearly 18 years ago. Their engagement didn't involve any bells or whistles, Ciara says; "[It was] nothing special," says Ciara, "I just couldn't wait for the ring so I said he could skip the official proposal and I just put the ring on!" 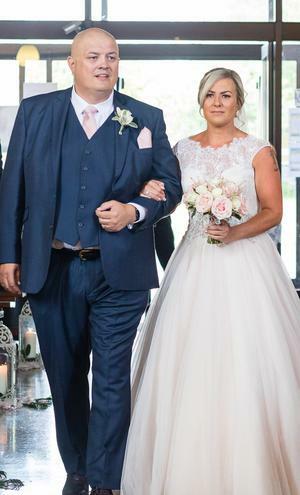 The couple tied the knot on 21st July 2018 in St. Fergal's Church in a beautiful ceremony celebrated by Dr Larry Behan before a reception at The Parkview Hotel in Wicklow. 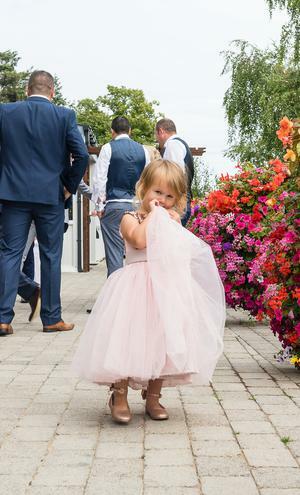 Daughters Caoimhe, 6 and Cassie, 3, acted as flower girls for their mother, absolutely stealing the show in their gorgeous sparkly dress and adorable Ted Baker bow shoes. Her brother Mango walked her up the aisle, her father having passed away. 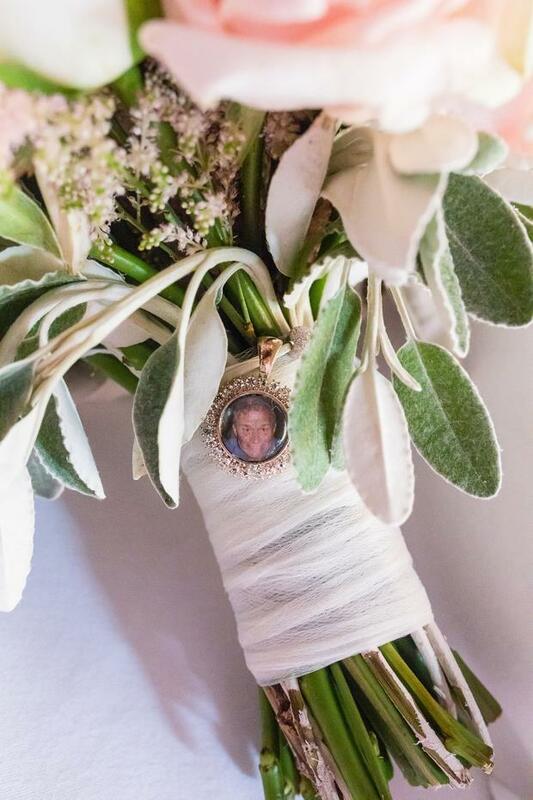 She had tributes to her dad throughout the wedding, with a locket containing his photo wrapped around the stem of her bouquet, and his photo places beside their wedding cake. After dinner, Ciara had a special mother-daughter dance with her mother Roisin, dancing to Carrie Underwood's Mama's Song. Their photos are by Katie Kavanagh, of Katie Kav Photography. 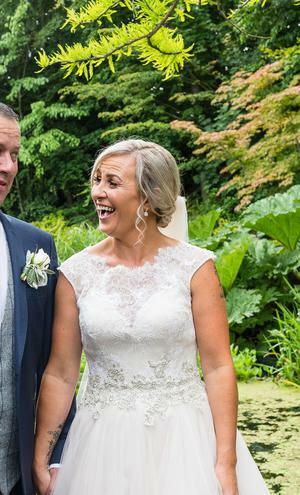 Ciara found her spectacular princess-style wedding dress in Anne Gregory Bridal Coutour in Wicklow. 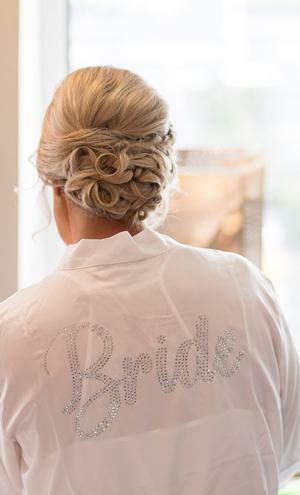 It featured a beautifully embellished lace bodice and full tulle skirt. 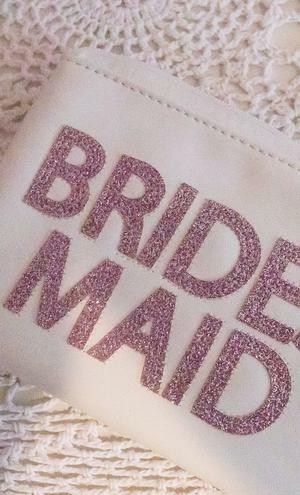 "I loved the wedding dress shopping," she says, "I knew my dress was for me the minute I put it on." Ciara finished her look with glamorous Badgley Mischka heels. Claire Heffernan styled her hair in a beautiful up do and Michelle Kearns did her make-up on the morning. 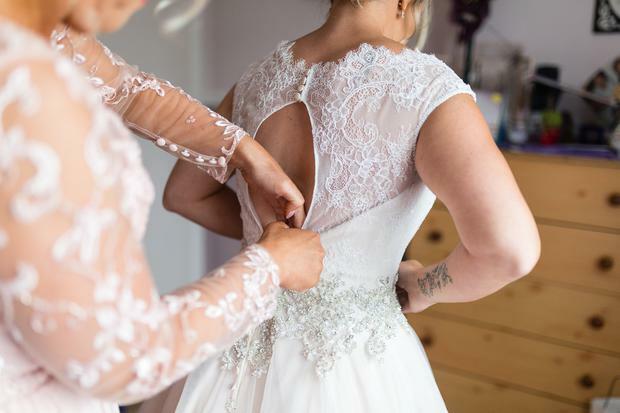 Ciara's bridesmaid found their long lace sleeved powder pink gowns in My Fair Lady in Monaghan. 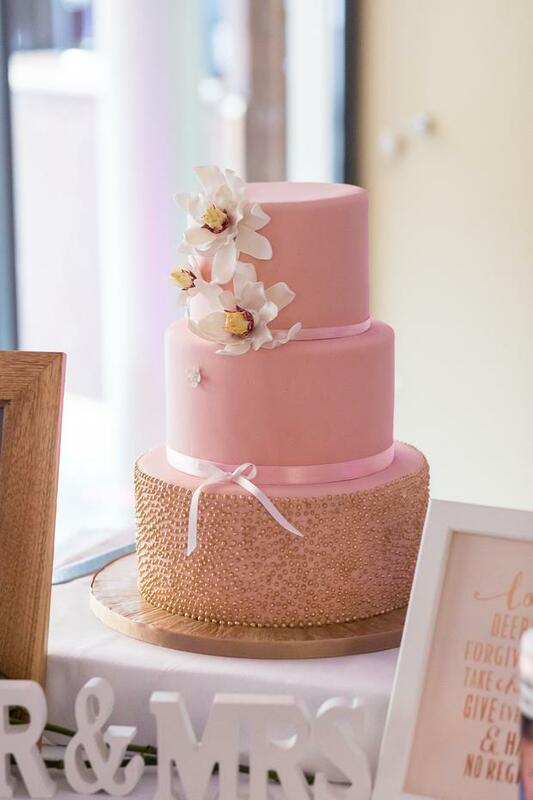 They featured beautiful light A-line skirts, and matched perfectly with the flower girls' gorgeous gúnas - which were purchased in Koko Kids in Ballymount, Dublin. 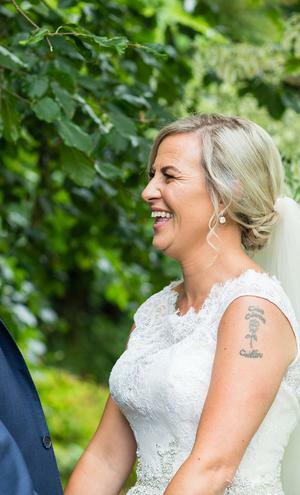 Ciara and Stephen's little girls wore fresh flower hairbands and carried smaller bundles of the bride's bouquet - simple green foliage and pale pink roses. The groomsmen got their three-piece suits in Suits You in Dublin. 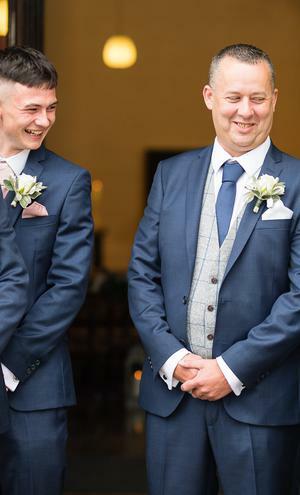 Stephen stood out in a grey checked waistcoat and navy tie, while his groomsmen wore navy waistcoats and matched the girls with their pale pink ties. 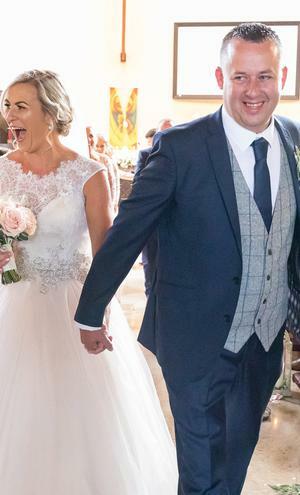 The couple tied the knot in an emotional ceremony at St. Fergal's Church in Wicklow. 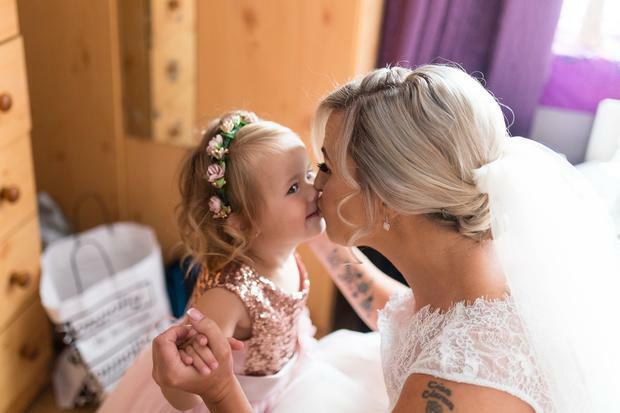 Their two daughters walked up the aisle hand-in-hand, with the eldest carrying a cute heart-shaped sign with the words 'Daddy, here comes Mommy' written on in. 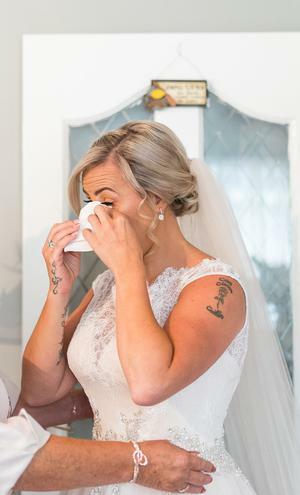 Ciara says her favourite moment of the day happened when she was walking up the aisle, accompanied by her brother, "to my future husband" (as Stephen was captured by photographer Katie Kavanagh shedding a happy tear). Wicklow florists Fussy Peacock created beautiful pew ends for the church, while the aisle was lined with candle filled lanterns and pretty pink petals. 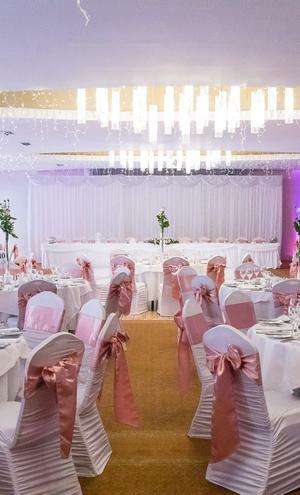 The Wicklow couple chose a wedding venue close to home for their reception, deciding on The Parkview Hotel after meeting their wedding coordinator Nicole, and falling for their beautiful banqueting room. 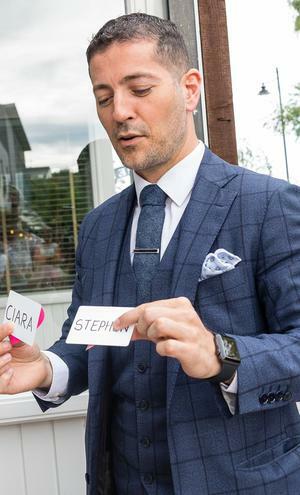 They held a drinks reception outside, where guests were treated to a glass of something sparkly from the 'Lovely Bubbly' prosecco van as magician Shane Black entertained with his impressive close up magic. Later in the evening they had another treat for guests when a Tayto van turned up laden with classic crisp sambos! 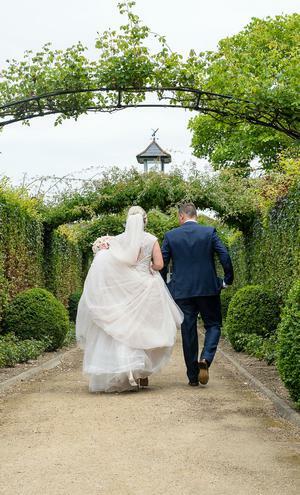 Ciara and Stephen honeymooned in Killarney for a weekend after the wedding. "Don’t stress," is Ciara's main piece of advice for those planning their big day, "if it's gonna happen it’s gonna happen - nothing can be done . The main thing is the bride and groom turn up! It’s about you and your future husband or wife - not about what you have or what you don't have."